Adore this beef. Whenever we make slow cooker beef roasts, we usually end up shredding the beef into the rich sauce - and this one is just the same. 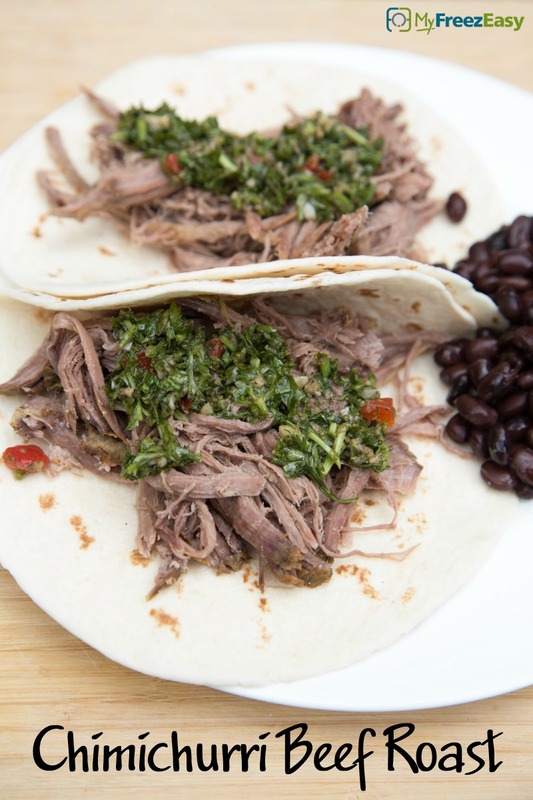 Chimichurri sauce is a cilantro based sauce that you could use to cook on the beef and as a garnish. You can usually find it on the international aisle at your grocery store, and in some stores, it’s closer to the condiments. If you can’t find it, you could use another “green salsa” type sauce and garnish with fresh cilantro. We love this as tacos, over rice and just as is! Place the beef roast into the base of the slow cooker and season with salt and pepper. 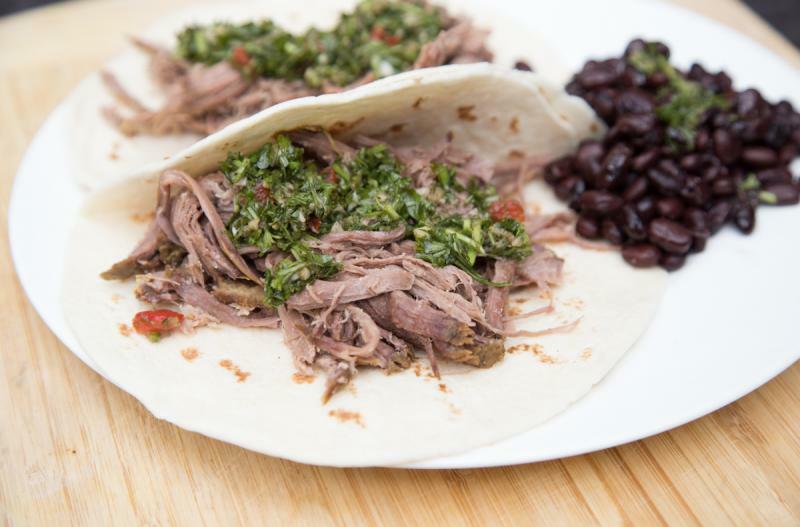 Spread the chimichurri sauce directly over the roast. Note: if you slow cooker “runs hot” and overcooks meat, you might want to add a cup of water or beef broth. Prepare the veggies and black beans. Serve Slow Cooker Chimichurri Beef Roast with rice and beans and side of veggies. Serve with rice and beans and side of veggies.